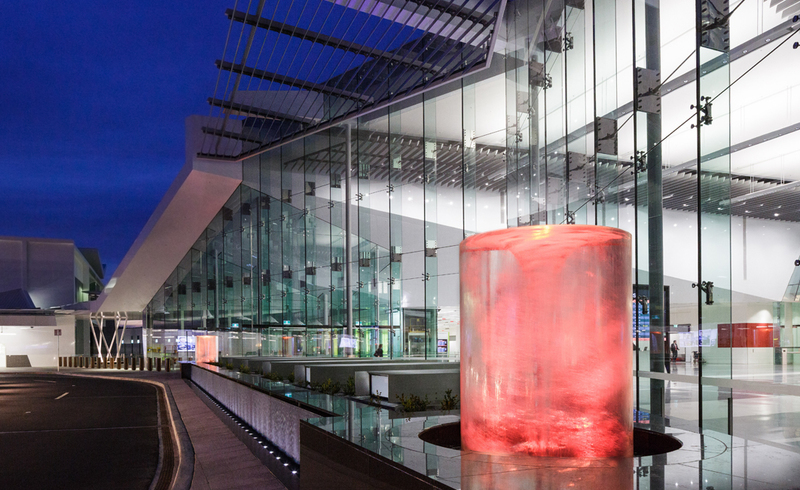 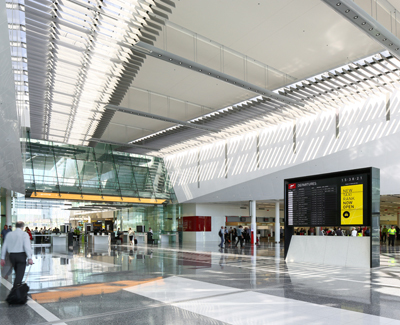 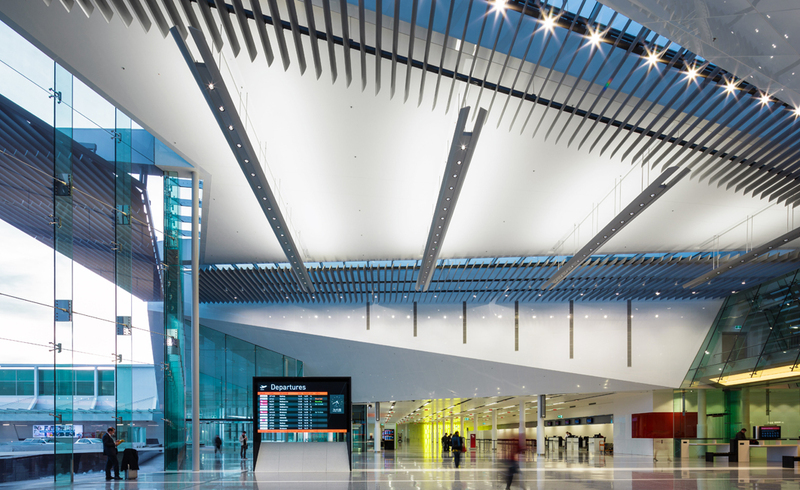 The Canberra Airport Atrium is the light-filled centrepiece at the heart of the terminal building, it accommodates the main entry and security functions. 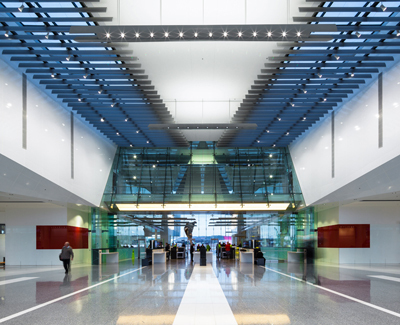 For this dynamic and central location we had the challenge of providing up-light, down-light and task-light as well as speakers and security cameras. The customised,suspended Airwing accommodates the required services and perfectly compliments and highlights this important space in the Airport environment. 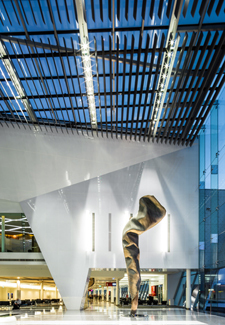 We worked closely with KLIK to design the fitting and we and the Client are delighted with the result. KLIK are to be congratulated on bringing their extensive expertise and can-do professionalism to the project to achieve this impressive fitting.